Former County councillor Treat Hull says a newly released report on affordable housing strategies for Prince Edward County validates the municipality’s recent actions on the file. On Monday, Community Futures of Prince Edward/Lennox and Addington released a December 2017 report it commissioned from Ryerson University’s School of Urban and Regional Planning that shines light on difficulties low- and middle-income earners have in finding housing in the county. Using an individual income of $35,000 a year, the study suggests the average 2017 market rent of $874, according to the Canada Mortgage and Housing Corporation — a figure Hull says many acknowledge as low — is unaffordable to 90 per cent of workers in that class based on using 30 per cent of income for housing. The numbers also suggest that home ownership of properties exceeding $350,000 is also unattainable for many existing local workers and millennial entrepreneurs that would be in the local marketplace. 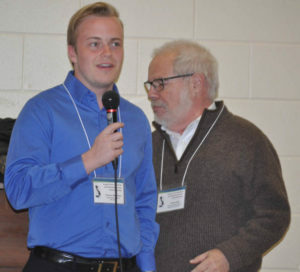 With that 90 per cent figure compounded by a high percentage of single detached homes and a vacancy rate of less than one per cent, Brookes said Community Futures and the students tried to think about tools and metrics the municipality could use to affect serious housing change. The guiding principles offered to the research team for the report, entitled Putting the Pieces Together: A Toolkit to Promote Housing Affordability in Prince Edward County included increasing housing supply, diversifying housing stock, making strategic investments to stimulate growth, and identifying partnership and collaboration. The students generated 43 policy ideas that were narrowed to 23 policy tools that could be put into practice. Brookes said ideas were assessed based on originality and appropriateness for the county. 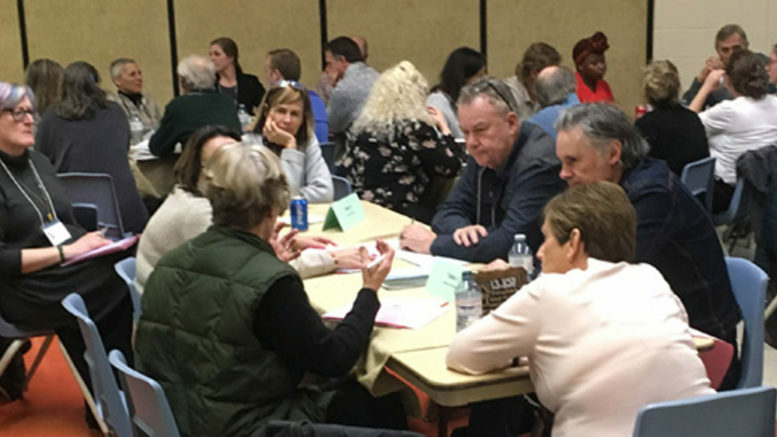 Hull gave an overview of the objectives that made it into the report at a Prince Edward-Lennox and Addington Social Services (PELASS) visioning session for its new five-year housing and homelessness plan. He stressed the concepts were high-level ideas meant to spark further conversation and consideration. There were three suggestions for incentivizing affordable housing development, including fast tracking applications, reviewing development charges and connection fees, and building relationship with developers and other stakeholders. Other suggestions included market research on demand for units. Some tools focused on zoning provisions, like projects that require developers to create affordable units in larger projects, creating less rigid design standards or promoting alternatives like compact or tiny homes, and exploring live-work developments that double as housing and work space. Retrofits of existing public buildings — like proposed projects at the former Pinecrest and Queen Elizabeth schools — is also an option. Other ideas spoke to funding opportunities by creating innovative collaborations like land trusts, collecting social bonds for funding, and creating more awareness of existing funding programs. Lastly, the students suggested the rental market could be protected through regulation of short-term accommodation. Hull said many of the ideas had been tossed around locally before and progress has been made since the Ryerson students offered their opinions. “The County, the last council, took two major steps in its last year that will affect the way the county looks two years from now — really consequential decisions. One was creating an arm’s length not-for-profit housing corporation that will be able to raise debt, initiative projects, support community projects and also reach out for new and unconventional funding, such as social investment pools,” he said. The other, Hull added, was setting the foundation to regulate short-term accommodation. More discussion will take place in the coming weeks on how that process will unfold. One of the initial directors of that not-for-profit corporation, Hull said was pleased to see how its mandate aligns with many items in the toolkit set out before councillors. Hull said he’s intrigued by the ideas presented about social financing for affordable housing projects, stating that may be easier to mobilize through the corporation than the municipality itself, and added he wants to find ways to leverage the private sector to create affordable units. He also stressed the importance of new funding sources as he felt the $40 billion promised in the National Housing Strategy will be hotly contested across the country. Several members of the current council were on hand to hear the report. Wellington’s Mike Harper called it “excellent,” and stated it was full of well thought out ideas that were relevant to the municipality. Picton’s Kate MacNaughton told the visioning session some of the councillors had a discussion about how they can adopt some of the ideas to create affordable housing as they shape the municipality. The housing crunch, which Brookes said is also affecting neighbouring counties, directly impacted Community Futures also as its special advisor on housing and rural innovation Zainab Mnyetto was caught in the crunch.